AOE Artworld Painting Supplies - Great Discounts on Quality Products! Select Size 5 oz. 1.25 oz. 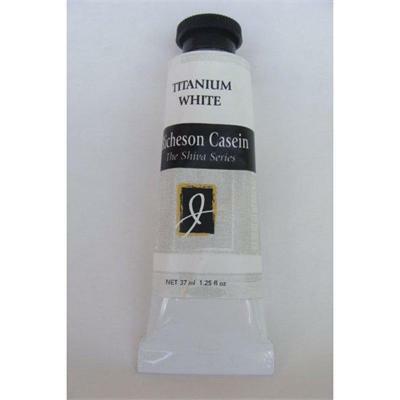 Casein is a quick-drying, aqueous paint that uses a milk-based binding agent. Casein paints can be used to create a variety of effects from the rich opaques of oil to thin watercolor washes. Casein paints may be applied to almost any rigid, non-oily surface such as canvas panel, illustration board, heavy watercolor paper, plaster, metal, wood, masonite, or canvas, or linen mounted on masonite. And they can be reworked or layered repeatedly and be used for underpainting. Choose either 5 oz or 1.25 oz tubes.